This might be the most beautiful thing about golf. Ever. So gorgeous Lisa! I have just gone back and looked at all of your collections. My favorites are the ones in shades of the same color, like this. I'd love to see some in different colours if you have them! Blue topaz ring will certainly be thomas sabo your best option if you are intended to thomas sabo jewellery include a ring into your gemstone jewelry collection. cheap thomas sabo charms Either if you wish to wear the ring on a special occasion or thomas bracelets wear this sort of ornaments on a daily basis, silver charm carriers it is up to your account. Blue thomas sabo necklaces topaz ring can ensure you that you will attract every person. I love the link spam. Like a haiku mumble attached to your tees. ORDER YOUR SIGNED COPY TODAY! This is a blog documenting a project that will span exactly one year, from January 1, 2010 to December 31, 2010. On each of those 365 days, I will photograph or draw (and occasionally paint) one collection. Most of the collections are real and exist in my home or studio; those I will photograph. Some are imagined; those I will draw or (occasionally) paint. Since I was a young girl, I have been obsessed both with collecting and with arranging, organizing and displaying my collections. This is my attempt to document my collections, both the real and the imagined. Some of my collections are so large that I will need to photograph them separately over several days. 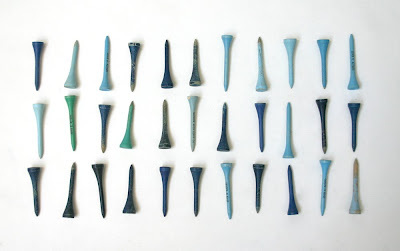 I will likely not attempt to photograph collections in which the individual pieces are large in size or awkward in shape (i.e. my art collection or vintage enamel dishware collection). The only rule is that I must photograph or draw a whole or part of a collection each day for 365 days and post the result here on this blog. The practice of collecting and documenting collections is as old as the hills. I want onlookers here to know that I do not profess to be doing anything new or unique or ingenious. I am embarking on this project because I love my collections, and I want to document them in a way that makes sense to me, and share them with whoever might be interested in looking at them. This blog is open for comments. I encourage you to share your thoughts about what memories the photographs and drawings of my collections spark for you and what, if any, sense of nostalgia or repulsion they make you feel. 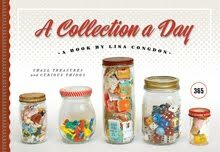 For those of you who have stumbled here and don’t already know me, my name is Lisa Congdon. I am an artist and illustrator, and I live in the Mission District of San Francisco with my partner Clay Lauren Walsh and our Chihuahua Wilfredo and two cats, Barry and Margaret. If you are interested, you can see the kind of artwork I make on my website or on the website of my illustration agent, Lilla Rogers. If you would like to see what my home looks like (as it contains many of my collections) you can see a house tour here. You can view my studio (also a repository) here.